This is a line that the men of Sierra Leone hear a lot, given their lady folk’s devotion to hair extensions, weaves and wigs. In fact it’s become a national obsession. 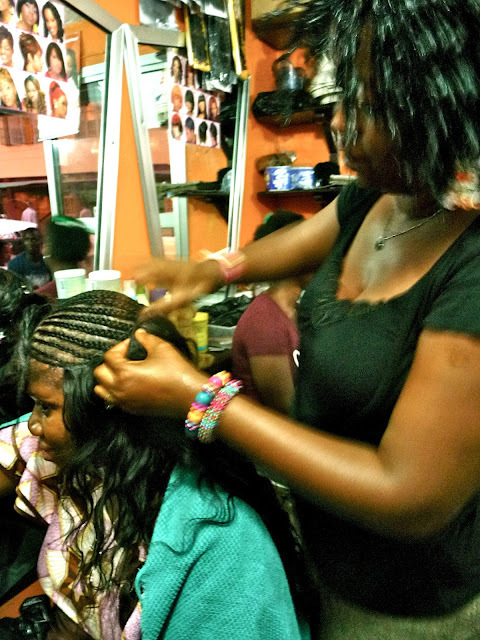 If you ask a Sierra Leonian woman how she spent last Saturday morning, there’s an 80 percent chance she will tell you she was sitting at the salon getting a new weave. My office is quite frankly confusing; one day you will be talking to a colleague with a cropped pixie do and the next day that same colleague has mysteriously disappeared and at her desk is a familiar face that you can’t quite place sporting a Macy Gray Afro circa 1998. 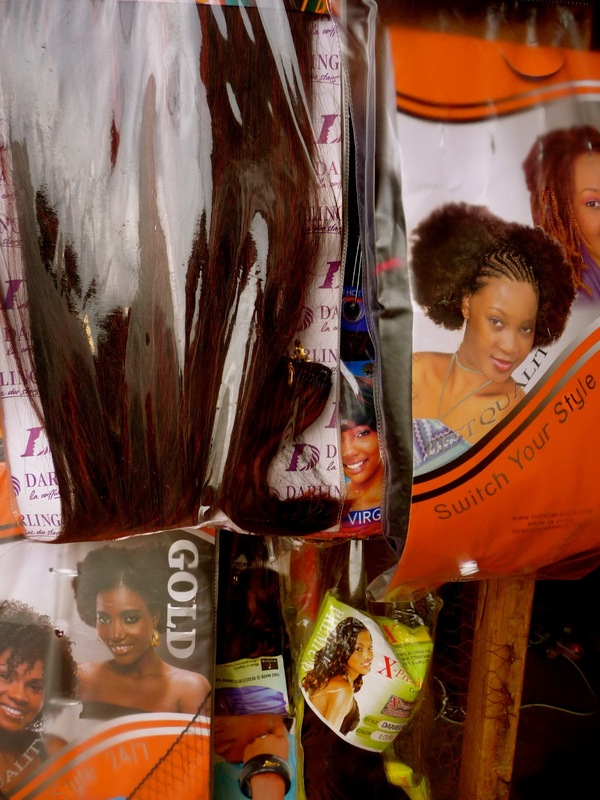 Bobby's shop in downtown Freetown is choccas full of every type of weave you can imagine. I was unable to find one in blonde though. Thank you Naomi. She said it took her hairdresser almost three hours to achieve this. 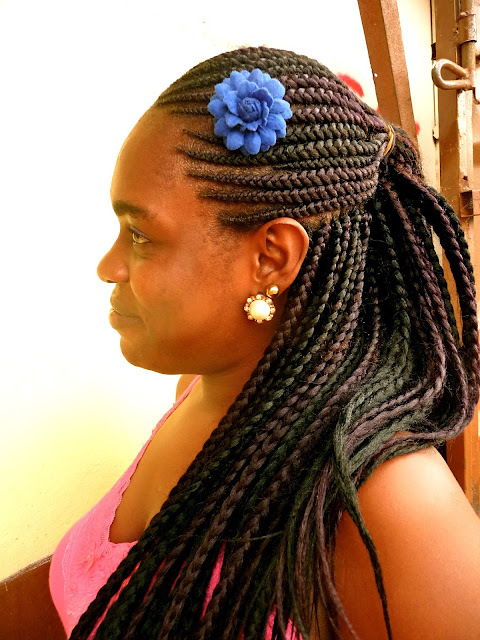 Just your classic braids adorned elegantly with a blue flower.